Meng Wanzhou’s arrest is just the latest example of an Iran fixation getting in the way of more important U.S. interests. On the final day of the G-20 summit in Buenos Aires, U.S. President Donald Trump and Chinese President Xi Jinping reached a ceasefire in an ongoing trade war that has been driven by several rounds of escalating tariffs and counter-tariffs. As part of the deal, China pledged to buy an as yet unspecified, but “very substantial,” quantity of U.S. agricultural, industrial, and energy products to narrow the yawning bilateral trade deficit. Far more importantly, the two sides agreed to open a 90-day negotiating window to address major structural issues in the U.S.-China economic relationship, which, according to the White House, include “forced technology transfer, intellectual property protection, non-tariff barriers, cyber intrusions and cyber theft, services and agriculture.” Markets reacted positively to the news, with the Dow, NASDAQ and S&P all ticking up about 0.8 percent the first trading day after the truce was announced. Unbeknownst to Trump and Xi as they negotiated over a steak dinner on Saturday night was that Canada, had at the United States’ request, just detained Meng Wanzhou, the chief financial officer (CFO) of Huawei. 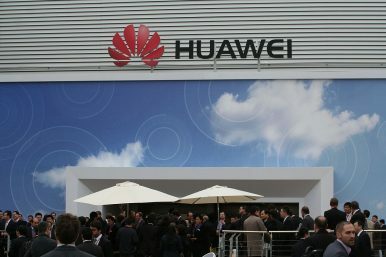 As China’s leading high technology “national champion,” Huawei is the world’s largest producer of cellular tower and internet equipment, and second largest cell-phone manufacturer. Given the sensitive timing, surely Meng must have been arrested due to one of the major problems roiling U.S.-China economic relations — stealing intellectual property, perhaps, or cyber espionage? Actually, no; Meng was detained over Iran, an issue that is largely tangential to the fundamental challenges America confronts vis-à-vis China. She faces extradition to the United States due to suspicion that Huawei has sought to evade U.S. sanctions on Iran. Markets around the world reacted poorly with the S&P down as much as 2.9 percent the day after news of Meng’s detention broke. Obviously, Meng’s arrest does not benefit China, but it demonstrates how the Trump administration’s obsession with Iran is damaging efforts to accomplish more important strategic and economic goals (e.g. addressing structural issues in the U.S.-China economic relationship). It is ludicrous that critical negotiations with Beijing over issues that impact the overall health of the global economy could potentially be upset by Iran sanctions enforcement. According to the International Monetary Fund, Iran was the world’s 27th largest economy in 2017 with a GDP of $431 billion (between Austria and Thailand). For context’s sake that’s 3.5 percent of the size of the Chinese economy and about 2.2 percent the size of the U.S. economy. The U.S. trade deficit with China alone in 2017 was $375 billion (nearly the size of the entire Iranian economy). As experts such as Abigail Grace at the Center for New American Security have noted, Department of Justice investigations, including the one leading to Meng’s detention, are decoupled from political considerations, and arrests/extradition requests are made “regardless of the offender’s stature.” In this vein, National Security Advisor John Bolton’s office has taken pains to note that “there was no engagement or involvement in the political level in this decision because we respect the independence of our judicial processes.” While technically this is the case, it is hard not to see the Meng incident as a consequence of Bolton’s (and other key members of Trump’s national security team, such as Secretary of State Mike Pompeo) unhealthy obsession with Iran. The administration’s Iran myopia has put it in uncomfortable positions, including having to make excuses for Saudi Arabia’s grisly extrajudicial execution of journalist Jamal Khashoggi. It has also driven the Trump administration to prioritize putting pressure on Iran, even if it means risking other assets or policy efforts that are far more critical to America’s geopolitical position or economic well-being. This is the case for the Trump administration’s inclination to ignore objections from European allies and gamble with the dollar’s privileged position as the primary medium of international financial exchange in order to sanction Tehran; and for its willingness to strain relations with key emerging partners that import large quantities of Iranian oil such as India. Meng’s arrest was not timed to coincide with the Trump-Xi meeting (although the Chinese could be forgiven for thinking otherwise, given the Syria missile strike that coincided with Trump and Xi’s Mar-a-Lago dinner last year). However, given the Trump administration’s overweening focus on Iran, it is hardly surprising that events set in motion by the maximum pressure campaign versus Tehran would pop up at an inopportune moment and threaten to hamstring far more strategically and economically consequential negotiations with Beijing. John S. Van Oudenaren is Assistant Director at the Center for the National Interest. Previously, he was a program officer at the Asia Society Policy Institute (ASPI) and a research assistant at the National Defense University. The views expressed in this article are solely his own. Meng Wanzhou, CFO of Huawei and daughter of Huawei’s founder, has been arrested in Canada and faces extradition to the U.S.